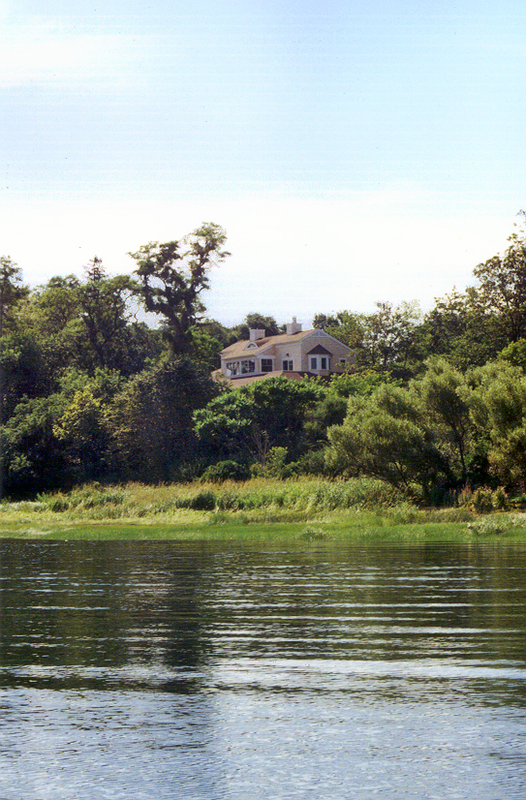 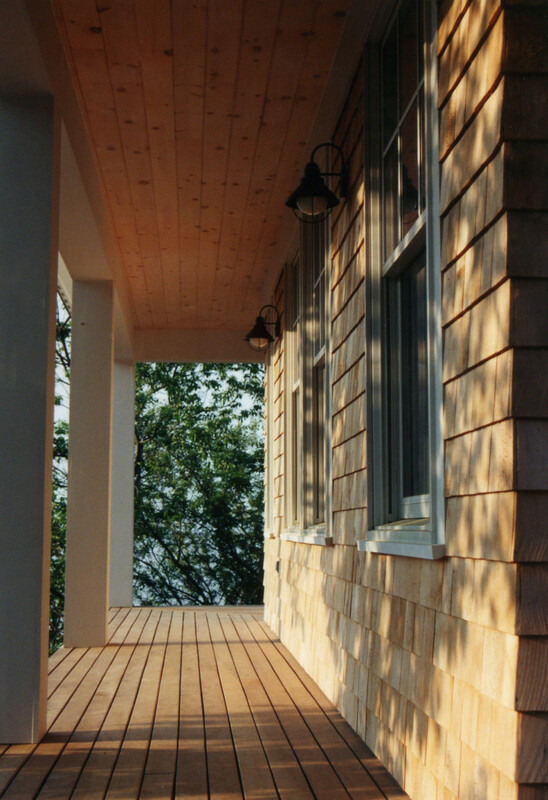 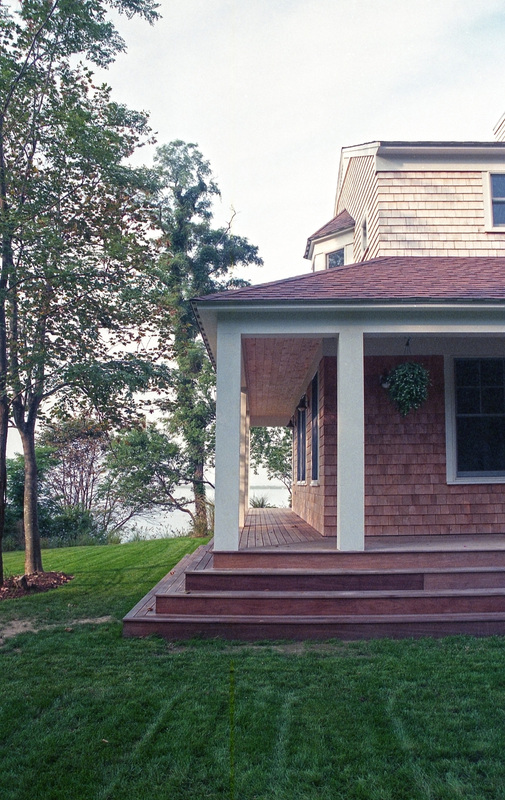 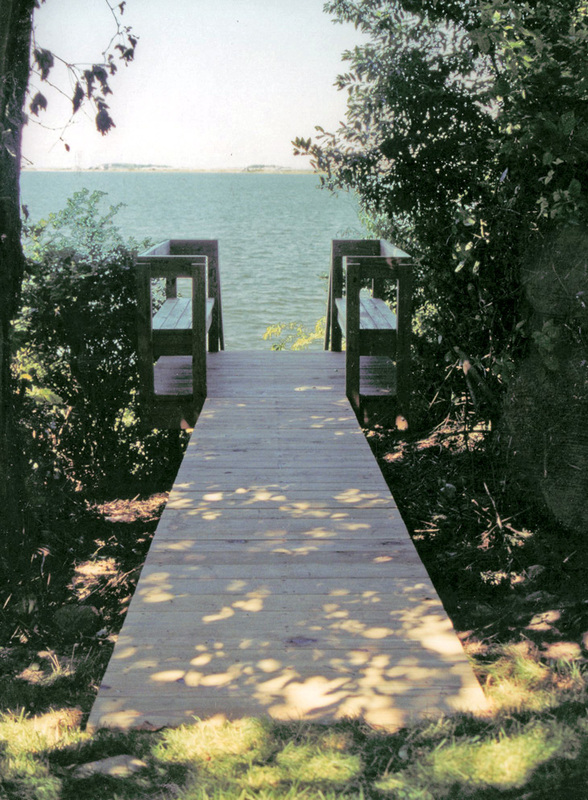 A new house at Cobb’s Hollow overlooks Plymouth Bay in Plymouth, Massachusetts. 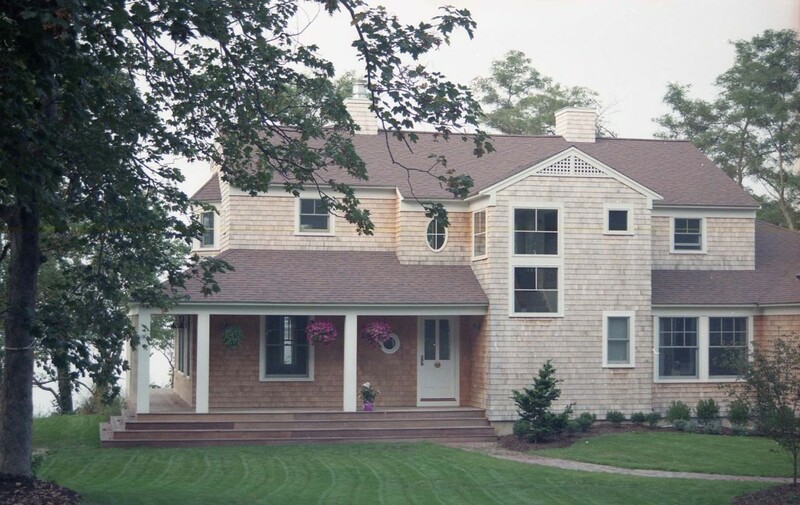 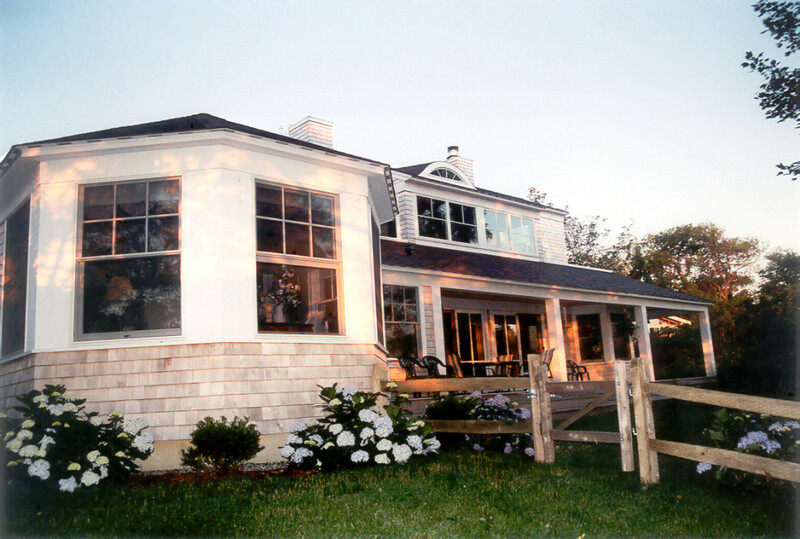 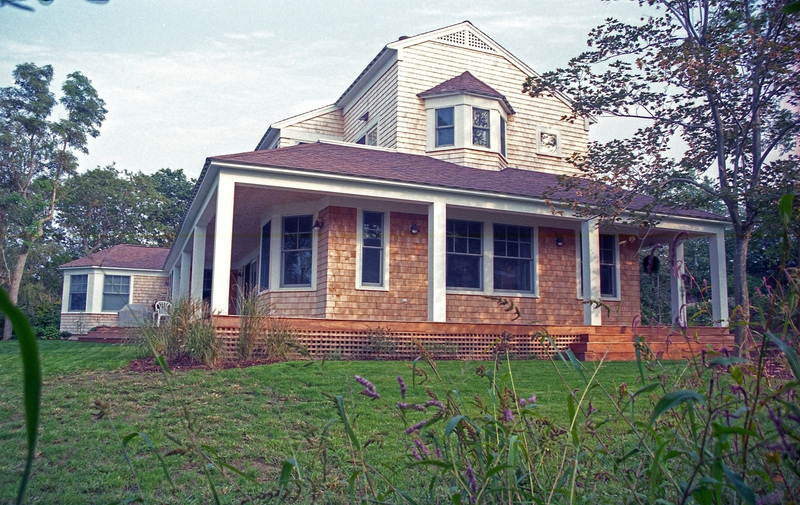 This Pared down traditional shingle style house is about passage and connection to the water through unobstructed vistas and walkways through the house from front to back. 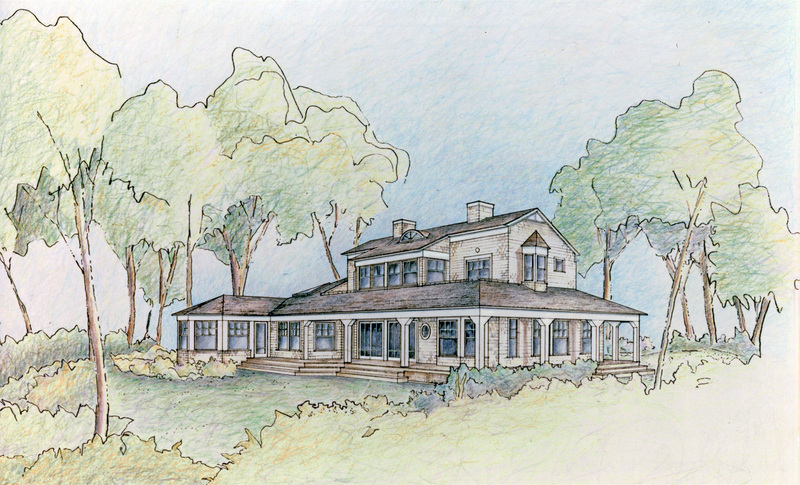 The colors are those of the surrounding wooded landscape so that the house appears to grow out of the landscape. To make this three thousand square foot house seem larger, high ceilings and indirect light sources create spacious rooms that flow together. 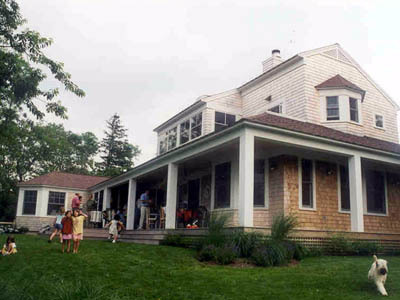 Throughout the house small bays, niches and details provide special places for quiet and private activities.